Reliability and practicality, two of the most important things to any family car buyer - and two qualities inherent to the Toyota Verso. Reliability and practicality, two of the most important things to any family car buyer - and two qualities inherent to the Toyota Verso. The firm’s compact MPV has seven-seat availability, and can trace its roots back through four generations. Not as exciting as some of its rivals, and actually slightly rarer, the Toyota is still a wise choice on the used market. Unlike some of its rivals, with long wheelbase and regular models, the Verso comes in one size and one size only. There are however both five- and seven-seat options available, but as the extra seats fold flat into the floor it’s worth finding one of the latter. There’s a range of engines on offer, including two petrol (1.6- and 1.8-litre four-cylinder units) and one 2.0-litre four-cylinder D4-D diesel. The latter is the one that makes the most sense, not only because of the extra mid-range torque but for the 5.3 litres/100km fuel consumption and 139g/km CO2 emissions. Choose the diesel though and you’ll have to take the six-speed manual option, as the CVT Multidrive automatic unit is only available with the 1.8-litre Valvematic petrol engine. As for trim levels, the choices were equally simple - running from Aura through Luna and finishing with Sol. Despite its abilities, the Verso isn’t a common sight on the forecourts, so finding your perfect used example may not be that easy. There are actually a few more petrol models available, but we’d hold out for a diesel version if at all possible. With CO2 emissions of less than 140g/km and fuel consumption of 5.3 litres/100km, running costs are reasonable. It’s the Luna model, with its upgraded audio, climate control, Bluetooth, cruise control and alloy wheels that offers the best balance of equipment and value for money. 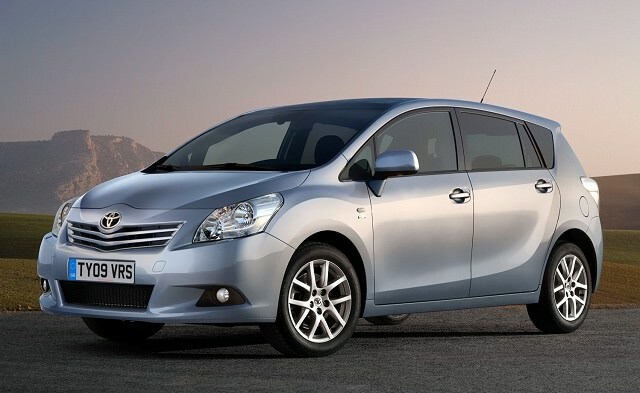 Exciting the Toyota Verso is not, but one thing you can almost guarantee is that it’ll be dependable. It’s also pretty practical, and cheap to run too. So while it may not be as avant-garde as a Renault Scenic, or as good to drive as a Ford S-Max, the Verso still makes a very strong case for itself on the used market.